Fresh, full of flavour food. Beautiful food, every single day. It’s very simple really. At Smith the Grocer, we love looking after people and crafting beautiful food. From our morning coffee and scones to our breakfast and lunch temptations, we aspire to make everything with love. We’re generous with our food and flavours and caring for customers and staff is always close to our hearts. We want people to come to Smith the Grocer because they love how they feel when they’re here. Yes some chairs are a little rickety, and the tables don’t all look the same, but hopefully that’s part of the charm of the journey as our café evolves. We remember when people had more time to connect and care for each other and we want to bring those values into our café. We encourage people to relax and reflect, to catch-up with friends and colleagues, have a laugh, eat and enjoy. We want our customers to walk away with a smile. We’re proud to be part of Wellington. It’s a unique and charming city, truly the coolest little capital. Nestled in the historic Old Bank Arcade off Lambton Quay, our hope is for Smith the Grocer to be the café our capital deserves. For us, Smith the Grocer isn’t just a café. It’s a way of life. We change our menu seasonally and use only the freshest ingredients to bring out the best flavours. As well as our breakfast and lunch menu, we have a large cabinet bursting with sweet and savoury treats to suit every taste bud challenge! From freshly prepared salads, toasted wraps, frittatas and filled croissants through to sweet slices, cakes and scones – there’s lots to choose from. What’s more, you’ll find dietary options to suit everyone including gluten free, vegan, dairy-free and even refined sugar free plates. Supporting New Zealand enterprise is also important to us – that’s why we endeavour to work with as many Kiwi products as possible. From Whittaker’s silky chocolate through to Zany Zeus’ irresistible halloumi, there’s no end when it comes to pinpointing local goodies on our menus. Having great staff lies at the heart of everything we do. 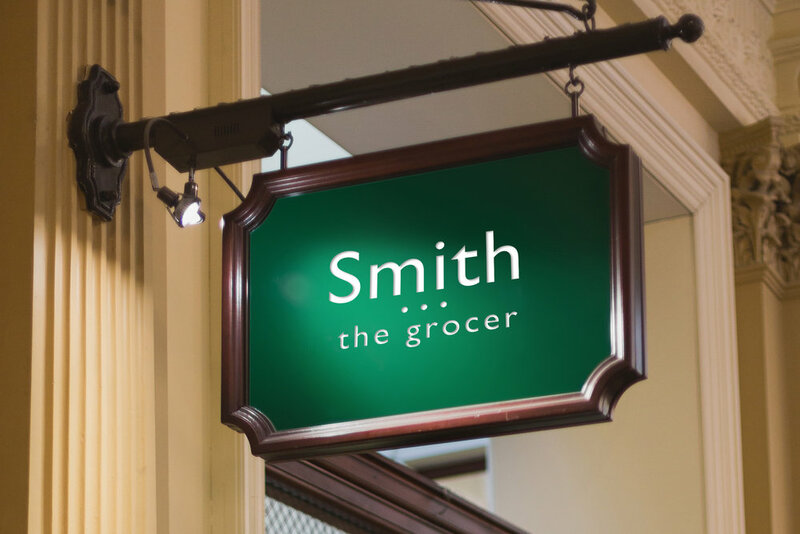 We’re always on the hunt for talented individuals to add extra zest to Smith the Grocer. We only hire those who really care about people, good coffee and beautiful food. If you think you’d fit in with our team and are interested in a kitchen, front of house or barista role, please email your CV to café@smiththegrocer.co.nz and let us know what spark you’d bring.